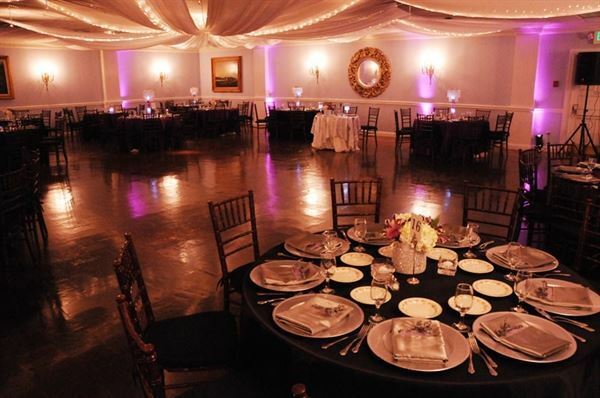 Events With A Touch OF Classs, Baltimore, MD Events With A Touch Of Class is a Full-Service Event Planning Business. Our goal is to be dedciated and provide excellent Customer Service and Commiment to quality for any occasion. We'll Customize any size Event or Occasion. Events with a Touch of Class takes Pride in our Personalized Services and Planning of your Special Event. We will Compliment your Needs and your Budget. We have experience in Designing and Facilitating Weddings, Private Gatherings and Corporate Events of all sizes. We also Specialize in Elaborate Themed Events. *Anniversary/Birthday *Bar/Bat Mitzah *Weddings/Baby Showers *Engagement Parties *Dinner Parties *Holiday Parties *Graduation Parties *Retirement Parties *Corporate Events Events With A Touch Of Class We offer assistance with Planning, Decorating, Catering, Bridal and Floral Arrangements, Cakes, Bridal Accessories, Favors, Balloons, Videographer, Photographer and Transporation. Chair Covers & Sashes, Linen, Lighting, Columns, Table Centerpieces, Tables, Chairs, China and Silverware are available for rental. Events with a touch of class is a full-service event planning business. Our goal is to be dedicated and provide excellent customer service and commitment to quality for any occasion. The package includes: • Uplighting lights • Choice of event color Please visit our website for more details. Events With A Touch Of Class is a Full-Service Event Planning Business. We have experience in Designing and Facilitating Weddings of all sizes. We will Compliment your Needs and your Budget. Morning until evening ceremony and reception coordination Please visit our website for more details. My oldest daughter got married 11 years ago and we did not hire a decorator; however we hired Events With A Touch of Class to decorate our youngest daughter's wedding on November 24, 2018. I am so glad I did because they took care of all of the flowers, supplied the runner and items for the ring bearer, flower girls and bell ringers. They also decorated the sanctuary and the reception hall. This took a lot of pressure off of us and they did an excellent job. The flowers were absolutely beautiful, the decorations were perfect and the customer service was amazing. I really appreciate Events With A Touch of Class and highly recommend them. Special Features: 2019 All Linen ordered before March 2019 will receive 10% off each piece of linen. Check website for linen Charts. If your wedding is before December 2019, you will still get the 10% Discount.